« The Pill and Breast Cancer. Why the Ignorance? 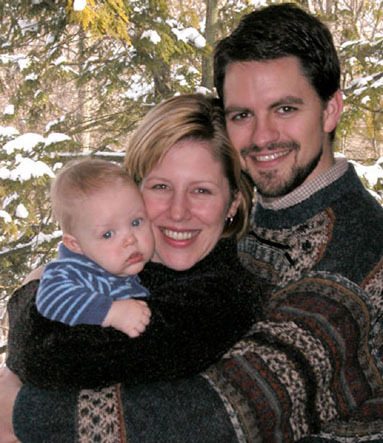 In 2005, my husband, Tom, and I relocated from Ohio to upstate NY with three young children in tow. God provided for us, and we quickly made wonderful and faith-filled friends. Soon after settling in, I was invited to a “mom’s dinner,” an evening out to get refreshed. There, I was introduced to Joan, who was at the time the mother of nine and newly expecting her tenth. I looked at her in awe, unsure how anyone could have nine children! Joan was elegant and well-spoken. She turned to me and cheerfully asked, “So, what are the ages of your children?” I answered a bit sheepishly, “4 ½, 2 ½, and 1 ½,” unsure of where the conversation was heading. “Oh,” she exclaimed, “you’re in the darkest part of motherhood! It’s going to get better!” Say what? I was totally surprised, and frankly, relieved. Instead, I had braced myself for some sort of motherhood fish story, the kind of rivalry that a soon-to-be-mother-of-ten could handily win every time… like, “Oh that’s nothing! You should walk a day in my shoes,” or “Just wait till you have six more and see how many loads of laundry you’ll have to do then!” or “Let me tell you about the time that eight kids, plus the husband and the dog, were all vomiting in our 12-passenger van during a 36-hour pilgrimage to EWTN!” Yikes! What could top that?? But that’s not the treatment Joan gave me. It was just…sympathy. Real, heartfelt sympathy from a more experienced mom to a newer one. Wow. It was as if a huge weight was lifted from me, and I was filled with hope. “It’s going to get better? Really?” I didn’t know it at the time, but Tom and I were in the “Tunnel of Parenthood: The First Five Years.” Now that we have emerged from the Tunnel, I have grown more and more convinced that those were indeed the hardest years. It’s not the mere fact of having children under the age of five in the home that makes it the Tunnel; it’s going through the parenting of children under five for the first time. The very young child’s stages of development are rapid-fire and, when you’ve never experienced them before, are at times baffling. It all slows down after age five. Meaning, the differences between a 1-year-old and a 2-year-old are vast compared to the differences between a 5-year-old and a 6-year-old. It is a literal whirlwind from zero to five. More than that, in the first few years, parents are “on duty” all the time in a very physical way. It can be plain exhausting when the little ones are getting all of their needs met by Mom and Dad, and those needs are immediate and primal. Feed me! Change my diaper! Hold me! Play with me! Make my dollie talk! Push me on the swing! And on and on. I remember when the mere act of strapping three young kids into their car seats was like an athletic event. Parenting in the Tunnel requires a very bodily sacrifice from Mom and Dad. While new parenthood is certainly joyful and miraculous, the years in the Tunnel can also be frightening, overwhelming and anxiety-producing. I have known many parents with two young children who say with conviction, “We couldn’t possibly have a third!” They often are working under the assumption that adding another baby would exponentially increase their current burdens, and they predict (incorrectly) that those burdens are permanent and unchanging. How many decisions for sterilization are made during this stage of parenting, only to be later regretted? Now that Tom and I are out of the Tunnel, we have found that each new child brings a paradigm shift to the family, and we all adjust together to that new reality. Welcoming another child after the first one is over the age of five is nothing like having a baby when you’re in the Tunnel. Our number four, Anthony Jack, came into our lives when the older three were 6, 4, and 3, and it was a revelation to see how much easier it was, repeat c-section and all. We had a better handle on what we were doing as parents, but most of all, little AJ had an older brother and two sisters to talk to him and play with him and love him. I know it’s been said by others, but how true: adding another child doesn’t divide your love, it multiplies love in the family. When in public, I enjoy searching out parents who are in the Tunnel. It turns out they’re very easy to spot, and not just for the obvious reason that there are babies and toddlers crawling on them. There’s a subtle look of shock on their faces, maybe a combination of sleep deprivation, battle fatigue and confusion. It is always fun to approach them and tell them, “Congratulations!” Then, I tell them that they are in the Tunnel of Parenthood and that it’s the hardest part. They may look bewildered at first, then relieved like I was. I tell them that the next baby will be easier, and they’ll often reply that they’re “done.” “Never say never!” I assure them. It’s impossible to decide today how you will feel next year or the year after that. The decision to get sterilized is often made based on feelings, albeit very vivid feelings. After number four, I could easily imagine being “done” myself with childbearing. Thanks to NFP, we revisit that question each cycle, and somehow, slowly and imperceptibly, that openness to number five has crept in. Joan always says, “God sends each baby with a loaf of bread under its arm!” She should know, after ten children. Now that we’re out of the Tunnel, it’s easier for us to see as well. If you know a couple in the Tunnel of Parenthood, give them some encouragement and see if you can lighten their burden just a little. That may be all they need to open their hearts to one more soul in their family (and then another!). Their future children will thank you for it! This entry was posted on Wednesday, August 31st, 2011 at 10:24 am	and is filed under News & Commentary, Publications. You can follow any responses to this entry through the RSS 2.0 feed. You can leave a response, or trackback from your own site. Oh, this is so true! My kids are currently 6, 3, 17 months, and due in December, and it can get SO exhausting. Plus, my oldest has mild autism so she has some minor developmental delays. But still – when #3 arrived it was not nearly as difficult as I thought it would be (and I’m hoping the same will be true with #4!). As a mother of 7 all under the age of 9 1/2 I like the idea of “The Tunnel”. It certainly does get easier once they can do things a bit more independently. It is also helpful to have the “extra hands” who can help with their younger siblings, play with them and read to them. The encouragement I received from others in those first few years was so important. Well done to all those mum’s who are going through the Tunnell right now! I completely loved it when my children were little like this and never felt “in the tunnel.” It was when they reached the teen years that things got tough. Great article! A friend of mine linked it on facebook. My wife and I use NFP and are expecting our fifth next April and have had a similar experience. Currently we have four ages 10, 9, 7, and 3. I like your descriptor, “tunnel of parenthood”, and couldn’t agree more with your analysis. We too experienced trepidation with the prospect of ANOTHER child, but as time passes, our “openness” to new life increases and it does get easier! The big kids help and entertain the little ones. And with each very unique child comes so many blessings … God bless you and your family! This is a great post! We’re expecting #5 and our oldest will only be 5YO when the new baby comes. I’ve been in the tunnel for long enough and it’s good to be able to see a little bit of light at the end. Now that my oldest two are able to dress themselves (at least partially) and follow directions I can see we’re on the road to it maybe even being peaceful around here, in a somewhat chaotic way. These past few years have been rough. Besides maybe having twins or triplets I can’t imagine how it could have been any worse! When I was pregnant with #3 (my first three are all a year apart) a woman with 9 children told me every thing got so much better when you started getting some kids over the age of five, but it’s really hard to see when you’re in the middle of the craziness. But I haven’t stopped thinking about he words since! my 5th pregnancy was twins! God has a wonderful sense of humor. So true. As a mother of seven, I’m always hearing the “you must be a supermom!” comments from new moms. They are imagining their own life (toddler, baby) times 3.5. Our life became very much easier after #4. People don’t realize that older children can (and do) help with household chores, babysitting, etc. so Mom and Dad really do get a break sometimes. And the love multiplies; it doesn’t divide. Thank you! I am in the tunnel. This is the best post I’ve read in a long time and I so needed to read this! Our boys are 3 and 2 and unfortunately our families have made us feel like we are crazy to feel so stressed. There are a lot of those “but we have twice as many kids as you” comments made. I feel like we are learning to deal with the stress so much better as time goes on and so I can see how this can be a tunnel. Also, after our second was born we got rid of a lot of baby things. Even though we are using NFP we thought we were done. A while later we realized that thoughts of a 3rd might be creeping in and we’ve started saving things again. So glad we are NFP’ers! I can’t say that the tunnel really ends at 5 though :) Or maybe it’s just cause I only have one over the age of 5. But I really feel like the tunnel is never ending. While I refuse to make permanent birth control decisions for many more years, I still don’t see myself having more babies. It’s about more than just surviving! It’s about being able to teach them, and so far I’m bombing that course pretty bad. Not only that, but my veins may not handle another pregnancy. While I see where you are coming from, I feel far too inadequate to have more children. For me, the tunnel gradually ended after our 6th was born — the olders were going on 12, 8, 5, 3.5, and 2. The 8-yo had only been recently fitted with hearing aids and was still very much a stinker (he’s since outgrown this :-), the others were a bit too young to be able to handle much responsibility. And dh was hugely busy with his job &c. So it was up to me and the 12-yo to handle the household duties & raising of children, etc. Yikes! But by 2.5 yrs later, when the 7th was born, the 2nd, 3rd, & 4th children had learned to do a bunch of things, and it’s gotten easier with the last 4 children :-) Besides, now I’ve seen so much of childish antics that I’m so much more used to what they can do, and what they “should” do, that parenting these younger ones is relatively easy. I am very happy to hear this news! My daughter is 2 and my son is 1 (11 months apart) and my husband and I are always open to life. To thoonly supposed to be used for grave reason. NFP can be abused and used selfishly if we are not careful. God want us to trust in HIm comse who say they use NFP but are “Done”, although you may follow all the rules of NFP, we must not forget that got wants us to rust in him and rely on Him for everything, including our fertility! I reccommend reading “Life giving love” by Kimberly Hahn.